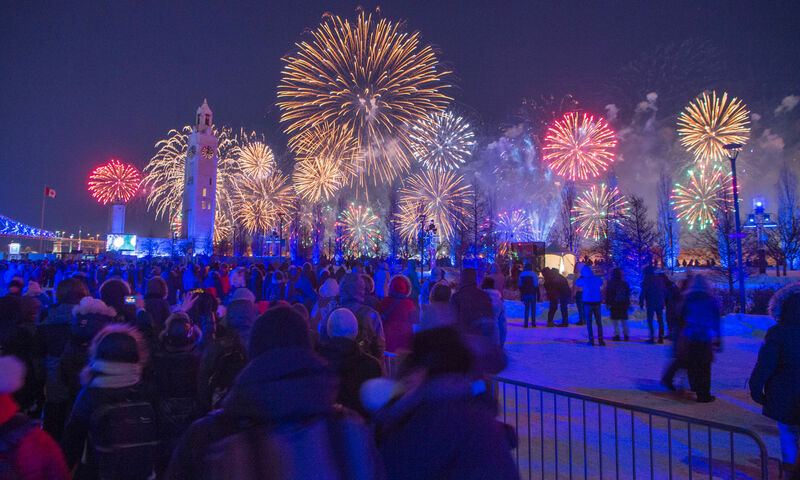 Amidst the celebration of its 375th anniversary, the city of Montreal hosted a memorable New Year’s Eve party! The cold didn’t stop party-goers from showing up to enjoy the celebrations, the music and the extraordinary fireworks that kicked off the New Year. 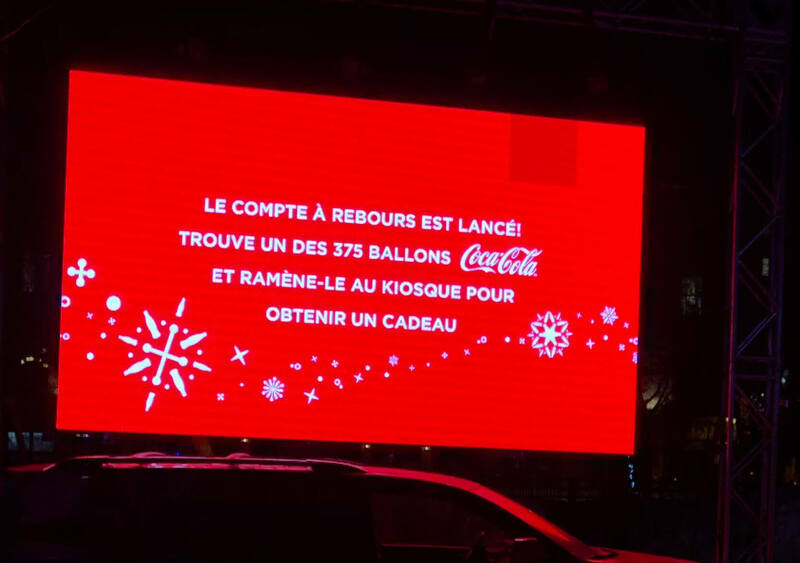 Coca-Cola was one of the main sponsors of the event and for the occasion, they wanted to engage attendants during the celebration. A booth was designed, in collaboration with Mosaic, for a treasure hunt. 357 balloons were dispersed on the site of the party for the guests to find. 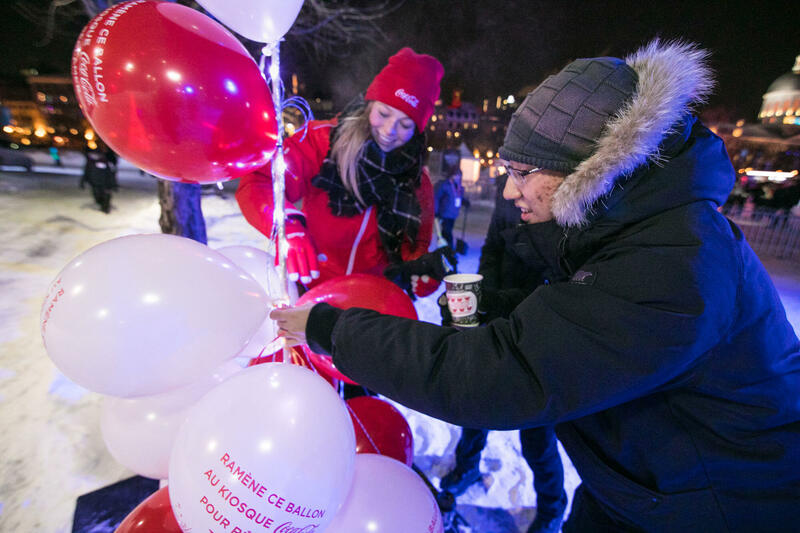 Upon returning the balloons to the booth, the participants could grab a gift from the illuminated tree and a can of Coca-Cola from the ice bar. 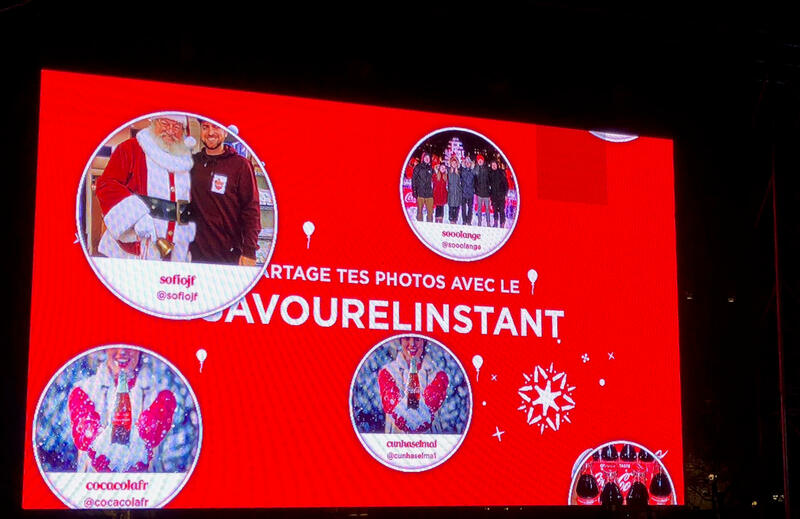 For this project, The Wallrus created a fully branded social wall that allowed the guests to track the balloons already found. Participants could see themselves appear on the screen by simply using the hashtag #savourelinstant. The interactive installation also featured a countdown and an animation. Aren’t you curious to know what was inside those pretty boxes? Coca Cola sure knows how to start a party! 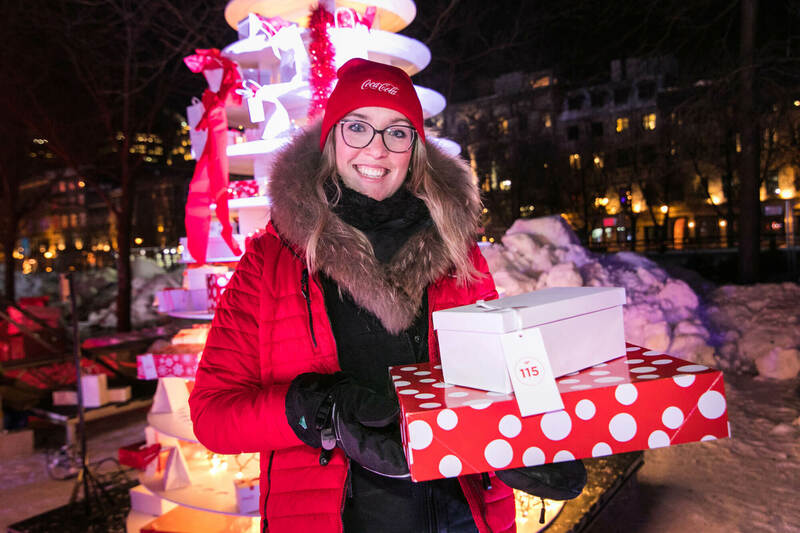 This activation was part of the New Year’s celebration – which culminated in cheerful fireworks above the historic Jacques-Cartier bridge. There was no better way in the city to kick off 2018!